ou’ve probably never really thought about how much work your tyres actually have to do to keep you on the straight and narrow while you’re driving. Did you know, for example, that at 60mph your car’s tyres will typically rotate about 700 times a minute? And when they’re rotating at this kind of speed, you need to be sure that the weight of the wheel and tyre are kept even all the way through this rotation cycle. That’s the basic function of wheel balancing. What Are The Dangers Of Wheels Not Being Balanced? As you can guess from the figure quoted above, any unevenness in the way the wheels and tyres transmit the huge forces passing through them to the road translates into a rough ride for a vehicle’s occupants. Out-of-balance tyres also put excessive force on a vehicle’s wheel bearings, and its whole suspension system, which can again cause them to wear more quickly than should be the case. So as you can see, maintaining the proper balance in any vehicle’s wheels contributes greatly to its safety, as well as the smooth ride enjoyed by occupants and cargo. But more importantly, it helps ensure that tyres, wheels and suspension work in proper unison, and eliminates many possible risks associated with early wear of any of these components. What Does Wheel Balancing Involve? The name is fairly self-explanatory, and the job is intended to ensure that the weight of a wheel and tyre together is the same all the way around its rotation on the axle. Balancing can be done on a special machine which measures the weight being exerted at all points in the wheel’s rotation cycle. When they need to balance a wheel, a mechanic or technician will place small offsetting weights at a series of specific points around the outside of a wheel. These weights will help identify any point around the wheel’s circumference where excessive weight is being exerted. Toe - this refers to how much wheels point outwards or inwards. You can think of this in the same way as your feet; if they’re not straight as you walk (as they rarely are), you’ll soon notice that one corner of your shoes will wear more quickly than the other. Camber - a measure of how far the wheels lean towards or away from your car when they are supposedly straight. Leaning too far outwards leads to excess wear on the outer edges of the tyres, and too far inwards means the inner edges will deteriorate more quickly. Caster - this describes the amount of forward or backward tilt in your steering axis. Poor balance between the two steering arms may eventually cause the back and front ends of your car to become misaligned. Uneven tyre wear may again result, but in the most serious cases, this could lead to the vehicle becoming unstable at even reasonably modest speeds of 40-50mph. There are two types of road wheel balancing: standard balancing and road force balancing. The former simply involves the wheel being checked when it is off the car, while the latter involves the car being placed on a rolling road, just as those you’ll see at any MoT testing centre. This will identify a wheel which is not truly round, or uneven tread or wall stiffness in a tyre. This will exacerbate any problems of vibration encountered when a wheel is not properly balanced. Road force imbalance is corrected, and the vibration it leads to solved, by the tyre being rotated on the wheel rim, so that the stiff spot in a tyre is matched to the low spot on the rim. In instances where this isn’t possible, however, the tyre will need to be replaced. If you still experience vibration through your car wheels, you should check your tyre pressures, as wide disparities in these can cause that ‘wobble’ - but this is probably the easiest, and cheapest, solution. Why Are Wheels Balanced When A New Tyre Is Fitted? This is because, as the wheel needs to come off the car anyway, it’s an easy task to do at this time. It will also help ensure that, for the first part of its working life at least, a tyre is correctly set up on the wheel for it to work at its optimum level, and for you as the driver to be secure in the knowledge that your new tyre or tyres will give you the best possible service. The bad news is that, as soon as you hit the road with a new tyre, it will start to get out of balance again. Its balance will also be affected each time your car hits a bump in the road - so speed bumps, along with potholes, are these days chief causes of unbalanced wheels, and all the associated damage which can ensue. When you have new tyres fitted to your car, it’s a good idea to check whether balancing is included in the price you’re quoted for the tyre, or will be charged as an extra item, as there is no requirement for tyre sellers to quote an all-in price. You can, though, have your wheel alignment checked separately if you’ve any concerns. As this is done independently for the front and rear axles, you may find that your garage charges for this service on a ‘per axle’ basis, so you should check whether it intends to re-align the wheels on one or both axles if you don’t want to end up with a nasty shock to the wallet. How Can I Tell If My Wheels Might Need Balancing? You may feel a vibration through your car’s steering wheel while you’re driving, which is a telltale sign of the need to have your wheel alignment examined. Another sign you might not pay much attention to, but which can point to possible problems, is if your car’s wheels are not straight when the position of your steering wheel suggests they should be. Signs of wheels being out of alignment often become more apparent at moderate speeds, so if you do most of your driving at below 40mph, the problem may creep up on you. But if, as your speed increases above this, you find it increasingly difficult to keep hold of your steering wheel because of the amount of vibration being transmitted through it, then you should definitely have your wheels and suspension examined. If you find your vehicle’s steering behaving strangely, don’t hesitate to have wheel balancing looked at as a possible solution. 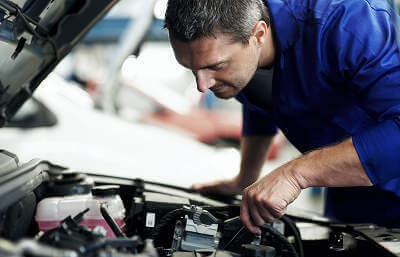 You can ask for quotes from trusted experts in the trade for this service, and most other jobs needed on your car, easily and with no obligation, at MyCarNeedsA.com.